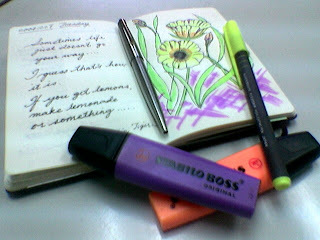 Sometimes pen, paper and some office stationery are all that's needed for stress therapy. Why flowers? ... something I saw on the browser window of my PC. Not very original, I must admit, but it worked. I'm back in the mood to work again.